I know that this film is based on a true story, but it progresses more like a documentary than a crime film. It feels very slow-paced and has too many conversations. Sometime its okay for a film to be based on a true story and still be more cinematic. But this film seem to be too close to the reality. 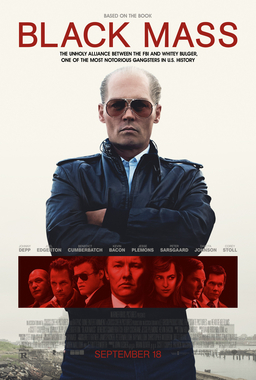 Johnny Depp as Whitey Bulger is great! He's the one that keeps me interested. I am enjoying seeing him every minute on screen. While he's not, its an entirely different story. Johnny Depp really is the best thing about this film. He was great, and his character was undeniably very interesting & charismatic. You really just want to see him just doing stuff to people. In fact, the most interesting and memorable scene to me is just those scenes that you've seen in the trailers - like the one where Bulger remarks about the guy spilling his family secret/recipe. This character is as charismatic as it gets. Put him in an entirely different movie, and I'm looking at a high quality action-crime film. The trailers looked cool and the cast was brilliant, but it ended up as a slow-paced near-documentary with relatively uninteresting array of supporting characters. None of the supporting characters are really interesting to watch, especially not when Whitey Bulger is not on screen. Not even the character of the great Benedict Cumberbatch. Its almost like a waste of an array of talents, really. The cast did well, but the characters weren't particularly interesting. The plot as a whole feels very basic, its just how he (Bulger) do things that makes some scenes particularly exciting to watch. 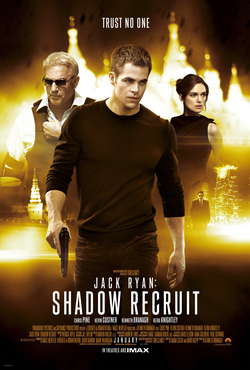 No notable action sequences, no memorable humour. Quite decent drama, I suppose, if you're following Depp's character well. But its the pace and progress of the plot that really gets me. Its too boring and could have had more cinematic intent, but instead plays out more like a well-acted documentary. Some scenes are just brilliant to see - but there's only one reason for that....and that reason is Johnny Depp's Whitey Bulger. Apart from that, I find paying the price of admission to watch a documentary isn't really worth it.